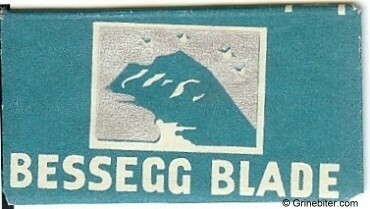 If you're Norwegian you know what Besseggen is; a mountain ridge in Vågå kommune in Oppland county that stands between the lakes of Gjende and Bessvatnet. Often described as "sharp as a scythe", it's very narrow - so narow two people can't walk side by side along the edge in places - with long and steep drops on both sides. Made famous from a passage in Henrik Ibsen's play Peer Gynt, it's a Norwegian national icon. sharp before you like a scythe. hundred fathoms deep below you. 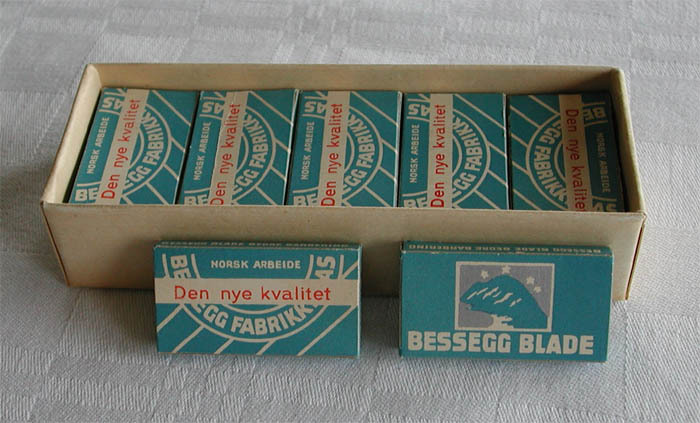 So it was perhaps not surprising that when a factory in Sarpsborg (which isn't even close to Vågå, but is close to where I live) was started up in 1927 with the intention of making razor blades, they took on the name Bessegg. 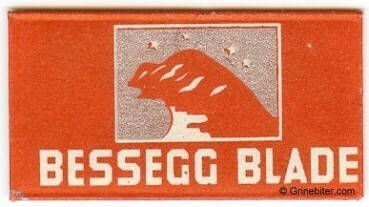 From the start until the factory closed in 1961, the Bessegg Blade was the most used razor blade in Norway. As an aside, I do like the design of the packaging; it's simple, clean and recognisable. 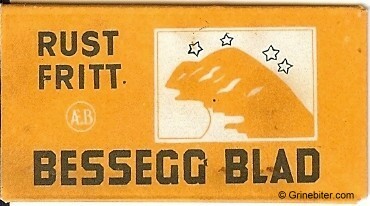 And made in several colours too, apparently... which, as we'll see later, was also printed on the blade. 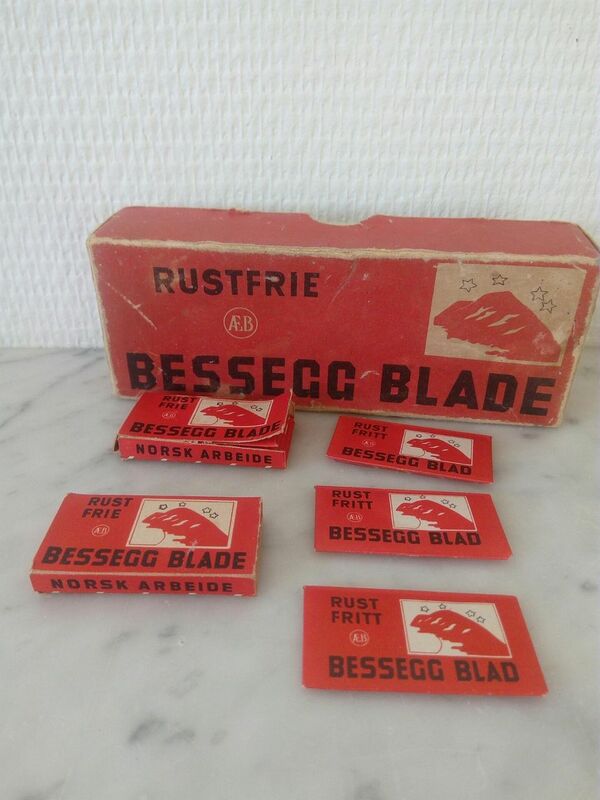 This packaging on the other hand states that the blade is stainless - or rust free, as the literal translation would be. The back of the sleeve have the factory name, and a banner across saying "The new quality" - to me it looks like they modified an existing design to add that banner, rather than designing a new sleeve. 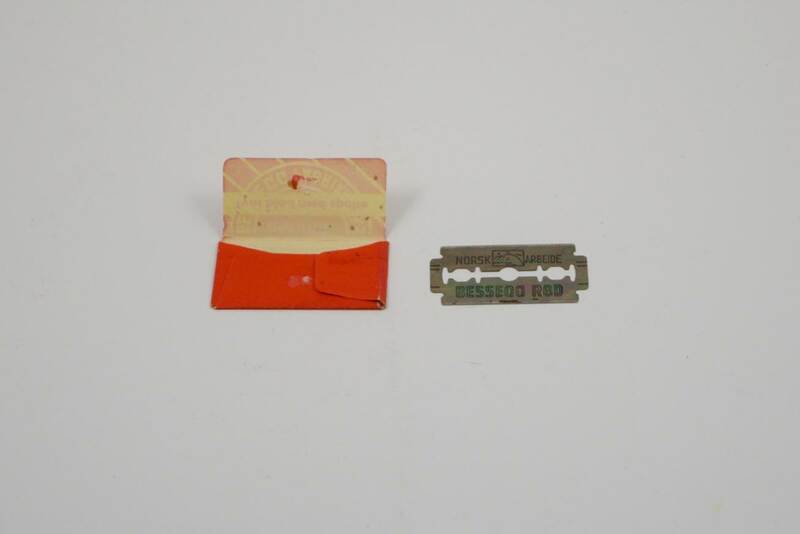 On this one the banner states: "Thin blade with slit" - I'm assuming that would indicate that other blades was made with the three holes of the original Gillette blades. 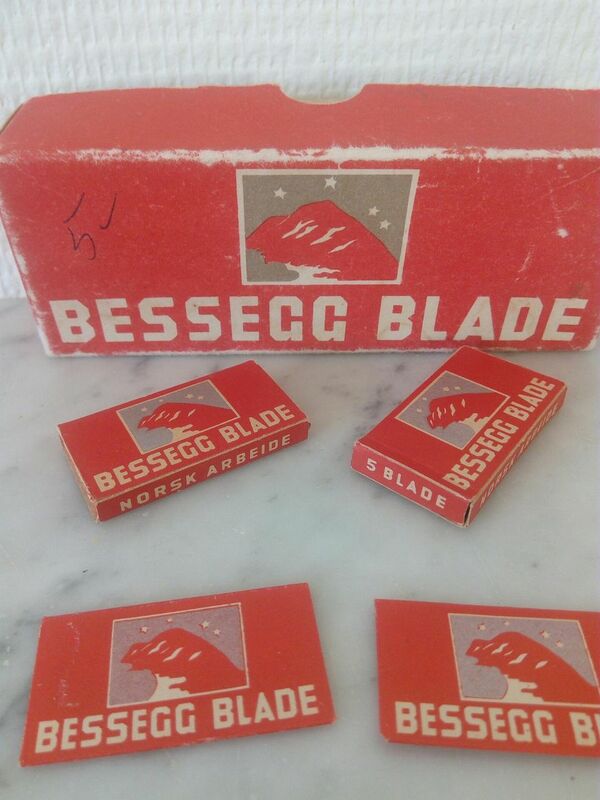 The blades were, as mentioned above, also stamped / printed with the colour of the packaging. This one is "RØD" (red), and according to the websites I've been trawling to compile this information "BLAA" (blue) was also printed on some.. unsure if the yellow were marked too, but one must assume they were. I've not seen any of these first hand myself, all of what I know - including the photos - I have found scattered around on several Norwegian websites. 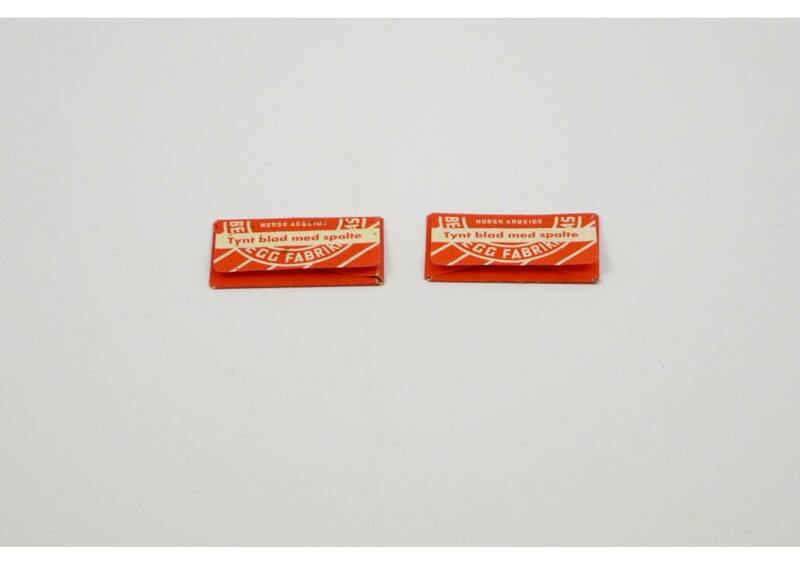 Closed in '61, I'm sure someone stashed a few in a drawer or cupboard someplace. Maybe you can find one. Oh, I have seen a few of them in the classified.. usually costing an arm and a leg. (11-19-2018, 09:51 PM)WegianWarrior Wrote: If you're Norwegian you know what Besseggen is; a mountain ridge in Vågå kommune in Oppland county that stands between the lakes of Gjende and Bessvatnet. Often described as "sharp as a scythe", it's very narrow - so narow two people can't walk side by side along the edge in places - with long and steep drops on both sides. Made famous from a passage in Henrik Ibsen's play Peer Gynt, it's a Norwegian national icon. The more I look into it, study the political and healthcare system, learn about the wonderful beautiful people, happiest or at least among the happiest on earth, the beautiful country....I have no doubt those are amongst the finest blades made. Now if it wasn't for the food. That's not fair, I watch New Scan Cooking and at least 30-40% of the dishes look very good. I want to live in Norway. (01-04-2019, 10:19 AM)Mouser Wrote: The more I look into it, study the political and healthcare system, learn about the wonderful beautiful people, happiest or at least among the happiest on earth, the beautiful country....I have no doubt those are amongst the finest blades made. Good blades quite likely.. but among the finest ever? Not so sure about that... but good enough to remain in production for a long time. "Finest ever" just an obvious exaggeration as an extension of my sincere admiration of the country, it's people and their way of life.